2015 Toyota Corolla – Test Drive by Jon B.
We’ve learned, around the What Drives Us HQ that when Jon B. talks, it’s a good idea to listen. His encyclopedic knowledge of vehicles and his constant testing and driving and reviewing of new cars as they come out, means he knows more about what’s on the road than most. 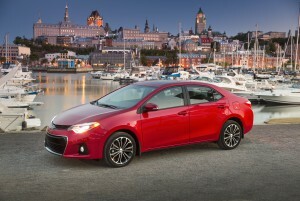 So we’re especially excited to post Jon’s latest work, a look inside the newest Corolla.